The Multi-faith Alliance of Climate Stewards (MACS) of Frederick County is made up of individuals and faith communities who are called to act on climate. As people of faith, it is our moral duty to learn more about environmental stewardship and act in ways that responsibly care for our beautiful planet, its inhabitants, and each other. MACS was born out of this shared belief, as well as the desire to act locally and the realization that opening our work to all people of faith as active participants expands our impact and strengthens our community. MACS has set a goal to plant 1,000 trees in Walkersville this spring through its campaign, Trees for Tomorrow. Tree planting events, in partnership with Streamlink Education, will take place two consecutive Sundays, March 31 and April 7, 2:00 – 4:00 PM. Families and participants of all ages are encouraged to volunteer by signing up at www.streamlinkeducation.org/macstreeplanting. On October 20th, MACS will partner with Hood College and Interfaith Power and Light to host “Floods, Droughts, and Justice: A Multifaith Discussion of Stewardship and Resilience in a Changing Climate.” This afternoon seminar will begin with an overview of the expected climate impacts Frederick County residents will face; include a discussion of responses local government, institutions and individuals have as options for prevention and resilience; and conclude with ideas for action. This meeting will leave participants more deeply connected to the realities we face, and with useful tools and relationships as we work toward a more resilient future for our community. Watch for announcements about this event through our Facebook page. Since our inception in the fall of 2017, members from several faith traditions have worked in solidarity to build MACS’ presence and impact, including Quaker, Catholic, Methodist, Jewish, United Church of Christ, Unitarian Universalist, Islam, and more. We welcome anyone (regardless of formal congregation affiliation) who shares our commitment. 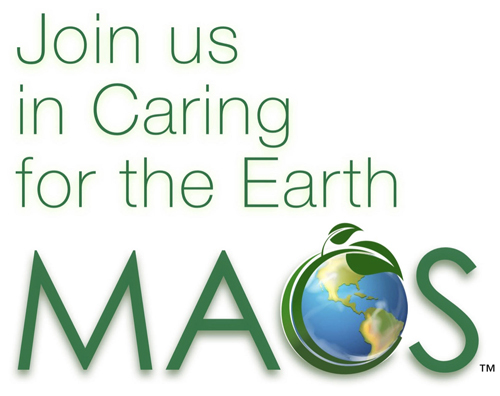 MACS is led by a steering committee and is building a growing list of supporters to take part in events and actions. Our partners are Interfaith Power and Light and Interfaith Partners for the Chesapeake. To learn more and become a part of Multi-faith Alliance of Climate Stewards – Frederick County, please visit www.macsfrederick.org, email MacsFrederickCounty@yahoo.com and “like” us on Facebook.